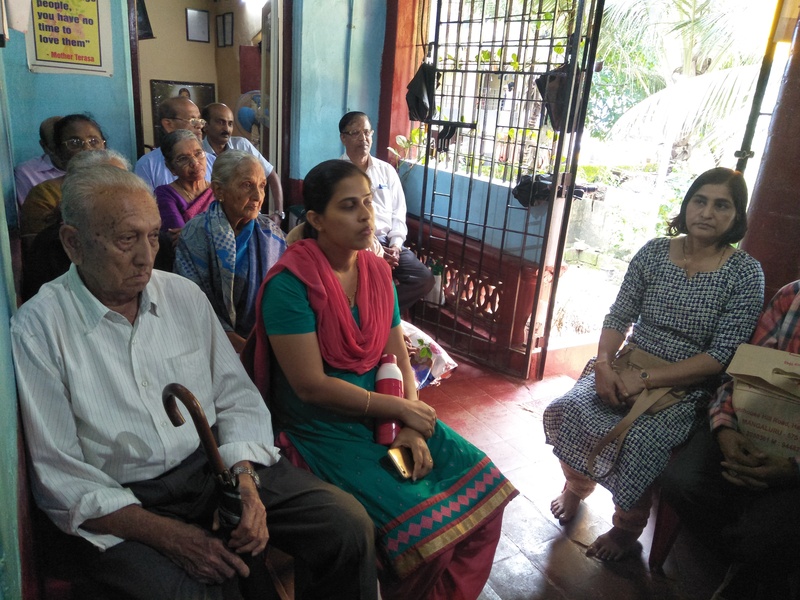 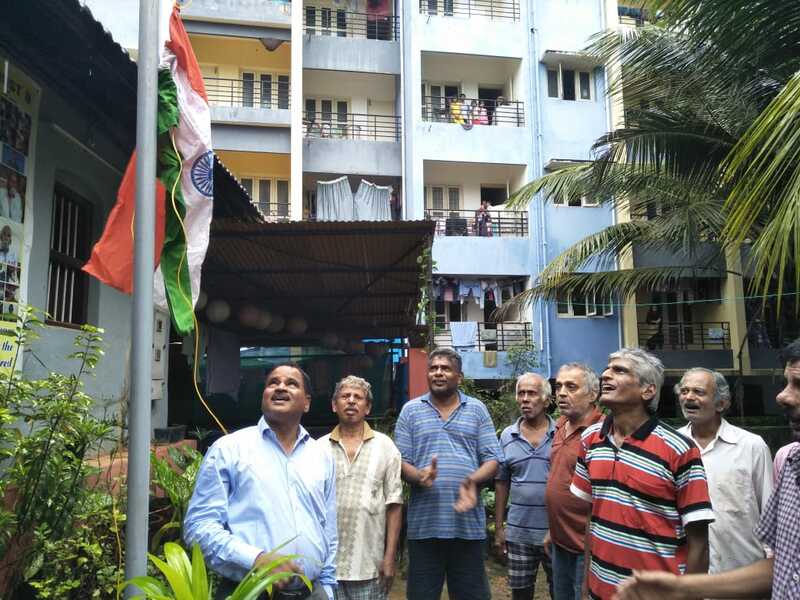 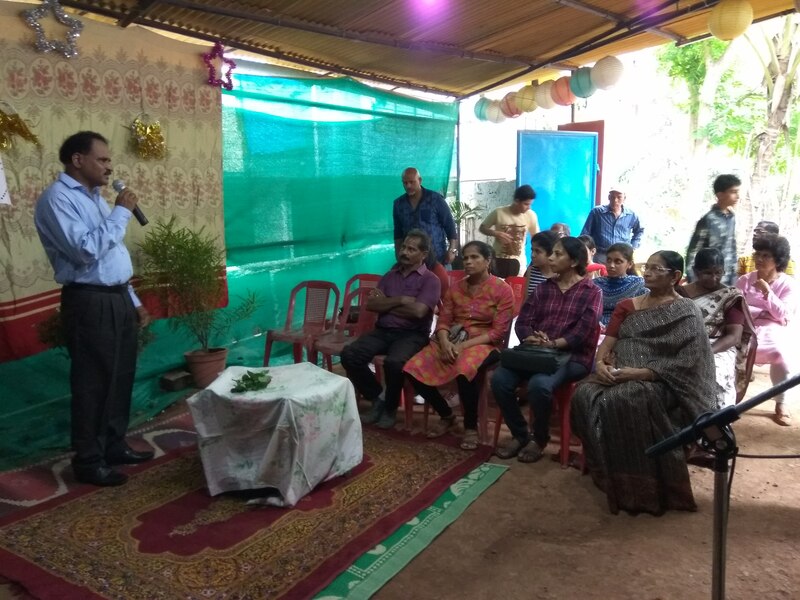 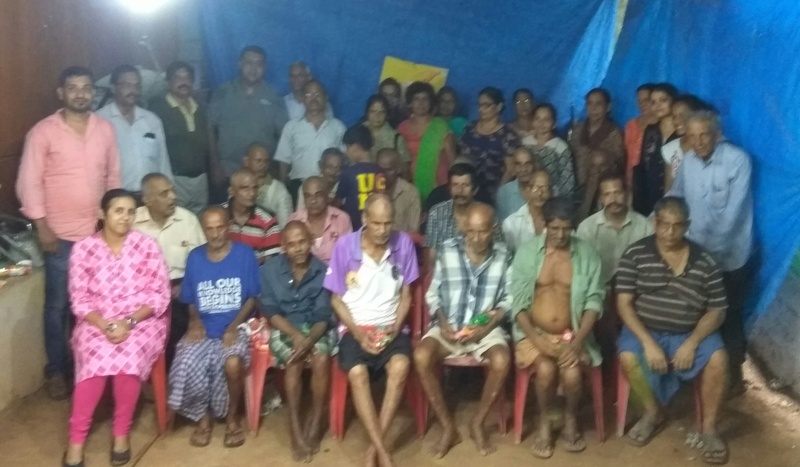 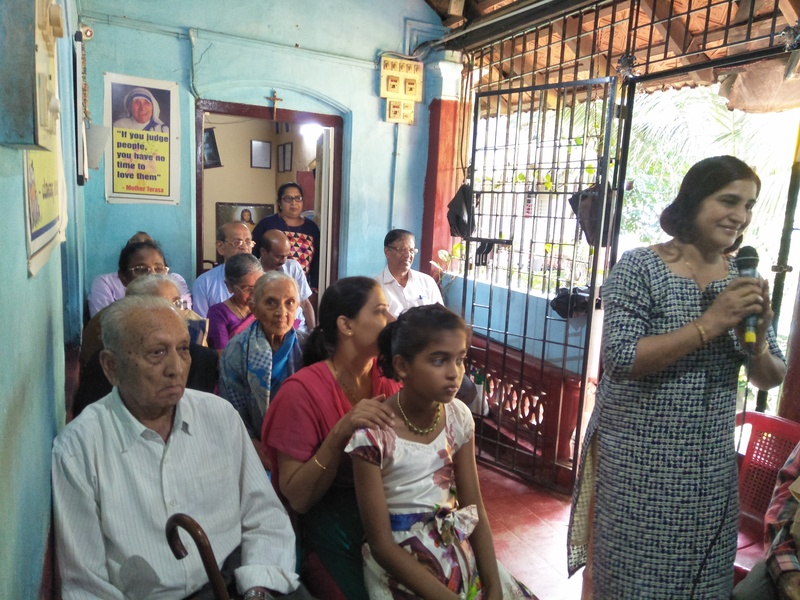 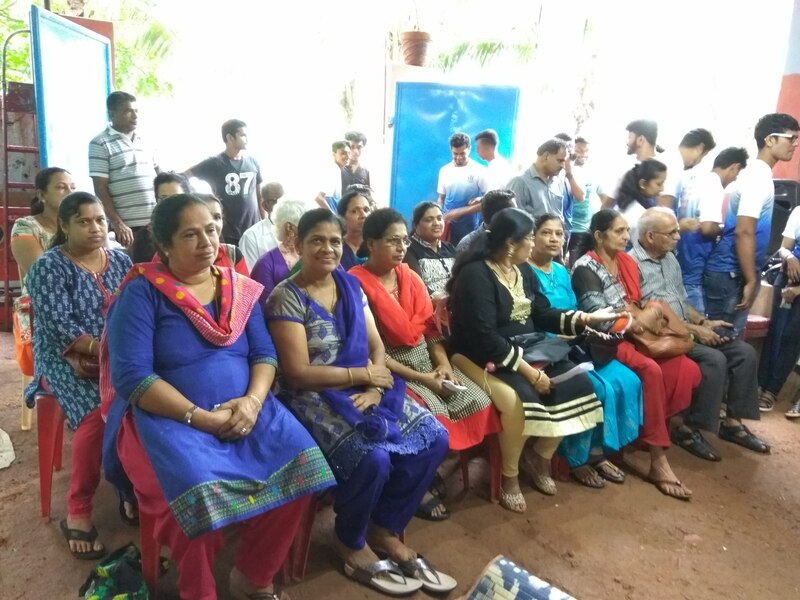 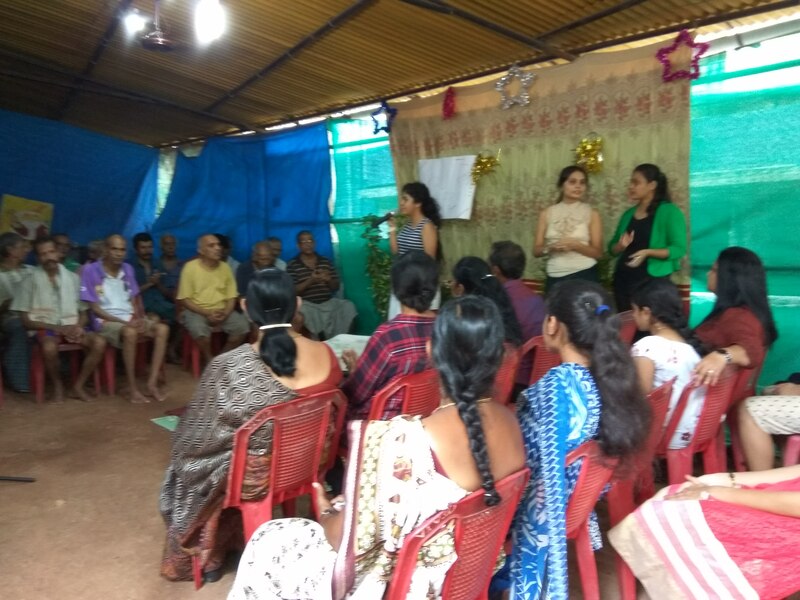 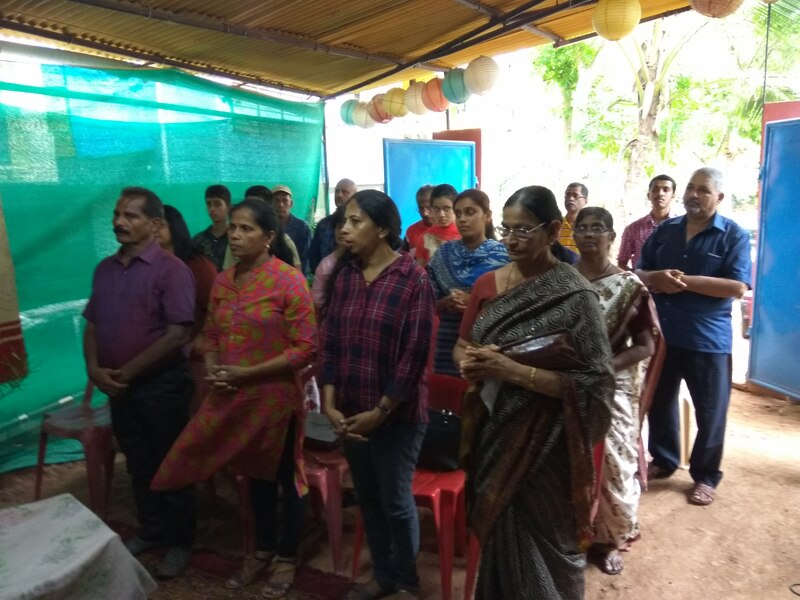 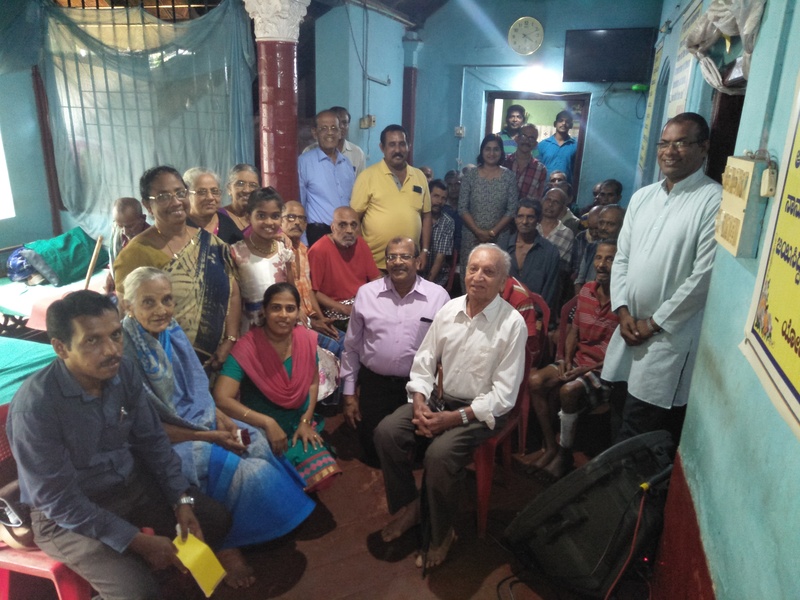 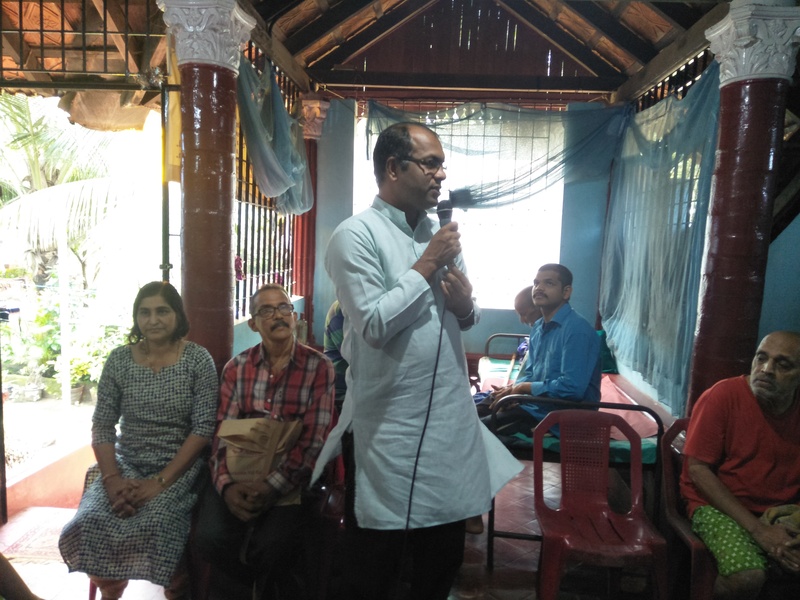 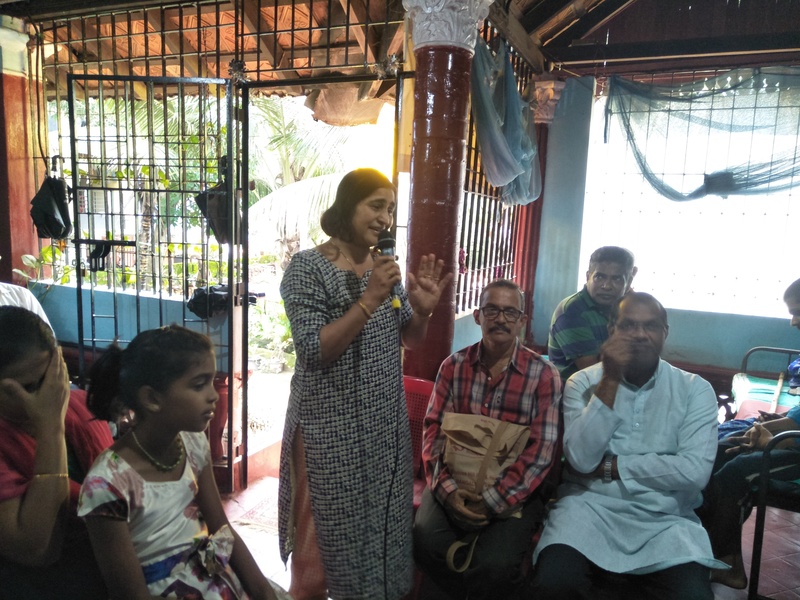 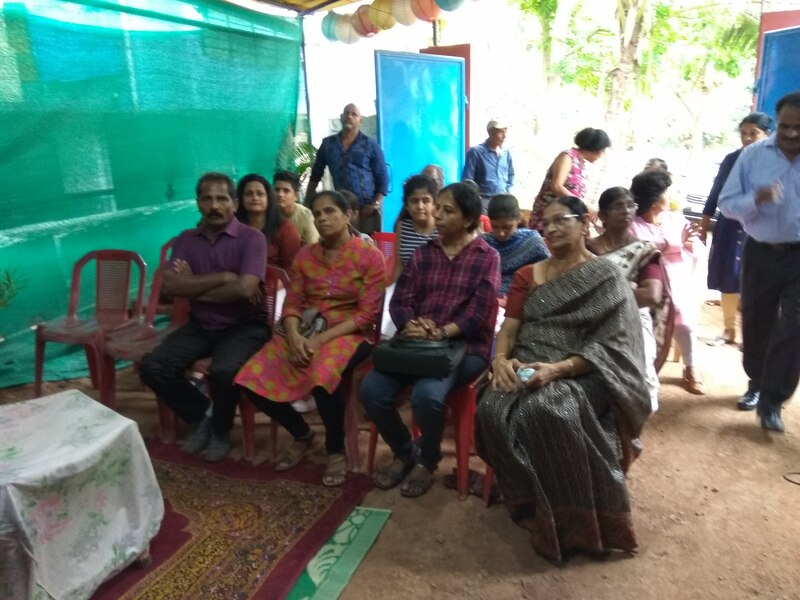 It was a delightful occasion when members from the SVP association of the Ashok Nagar Parish in Mangalore visited Karunamaya. 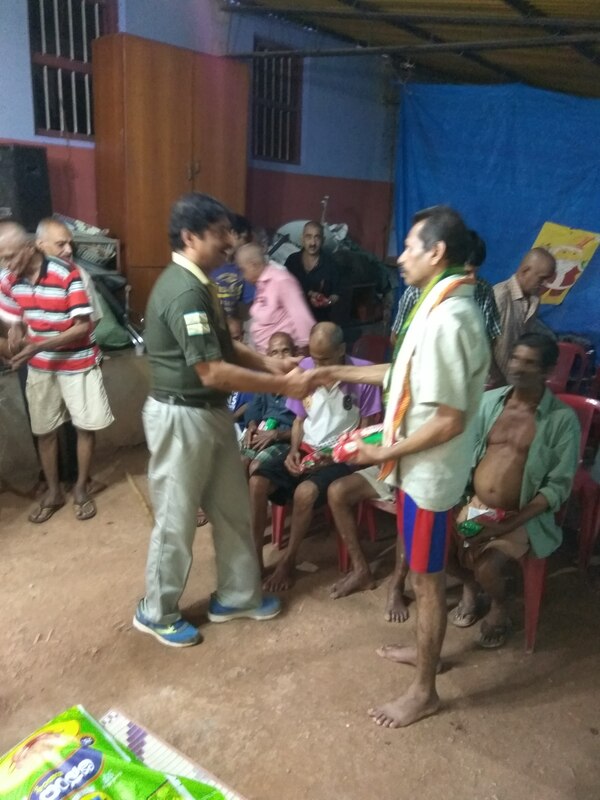 All inmates and team members extend heartfelt gratitude to them for their kind gesture. 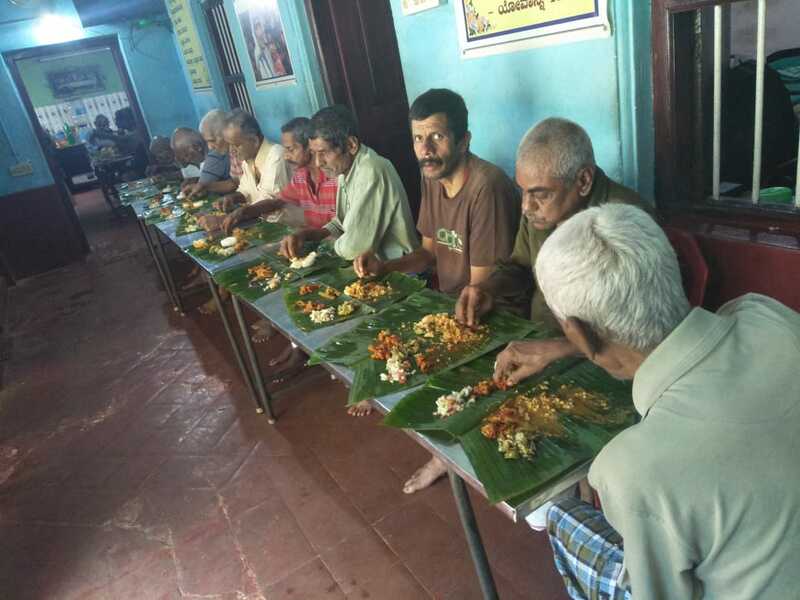 May God bless them all. 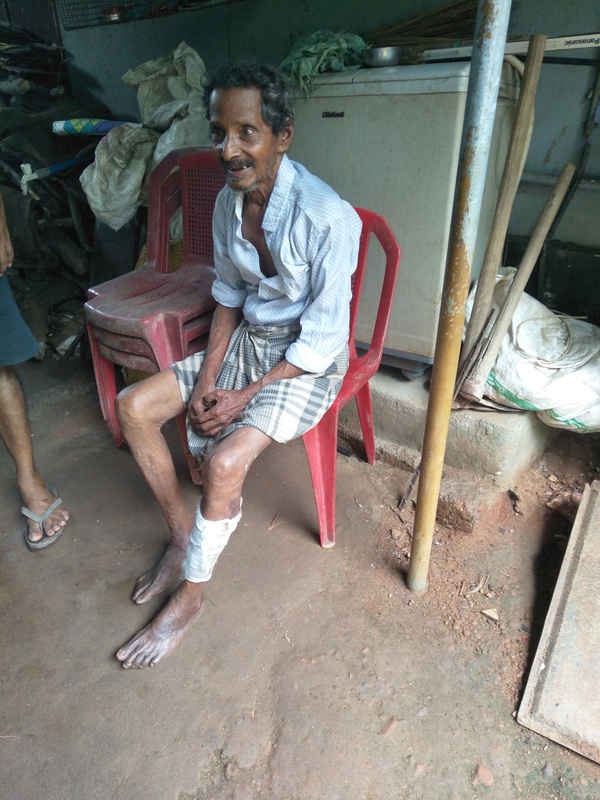 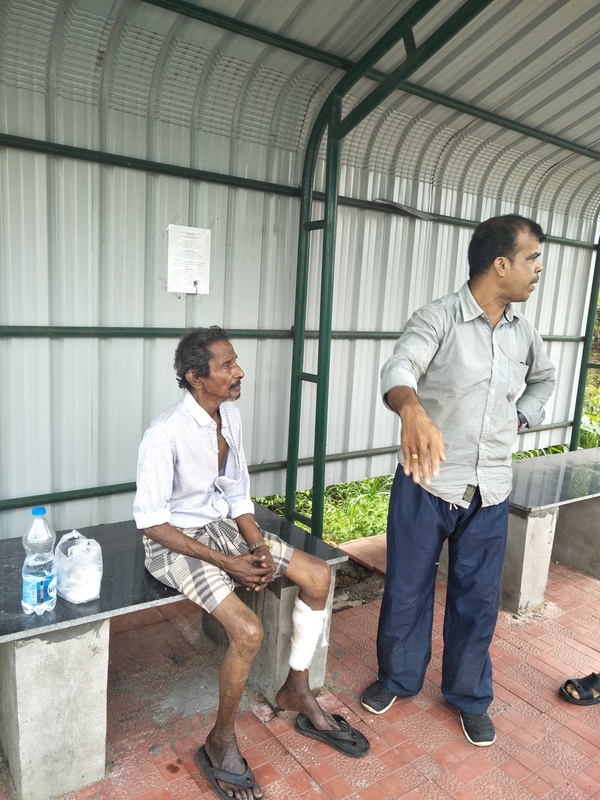 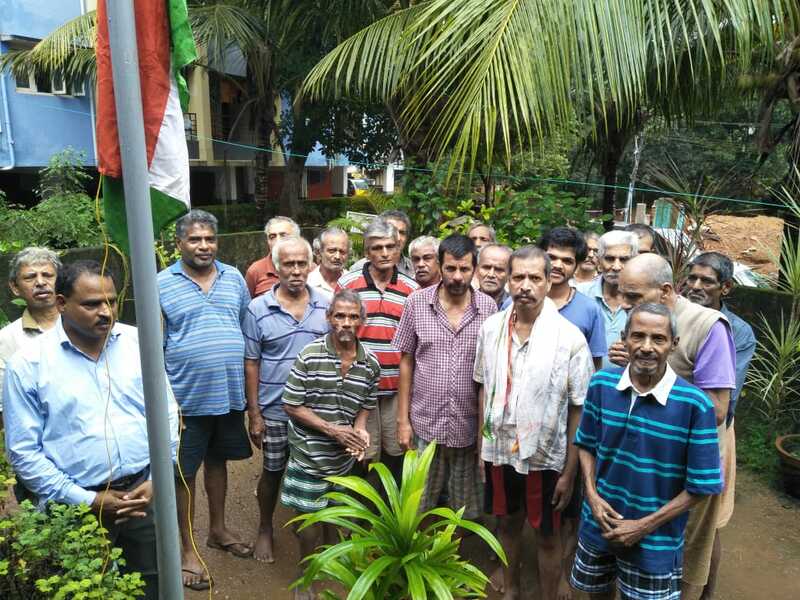 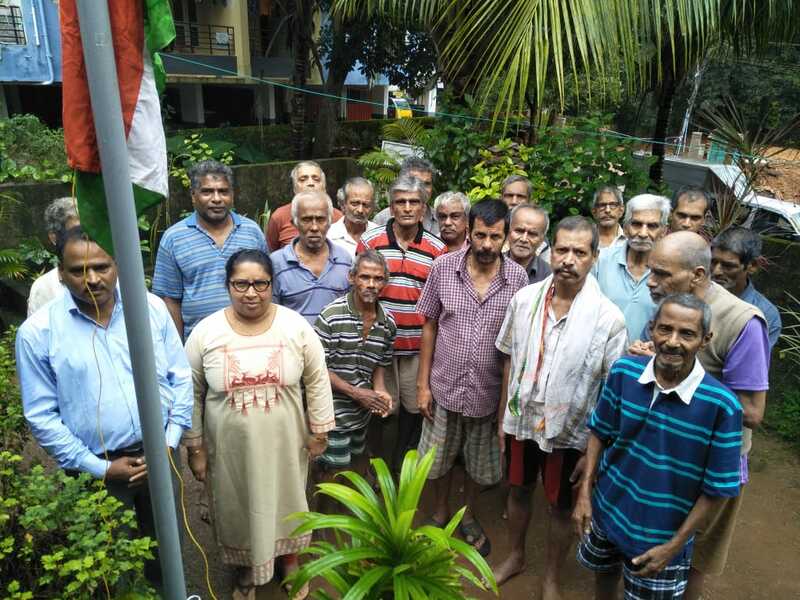 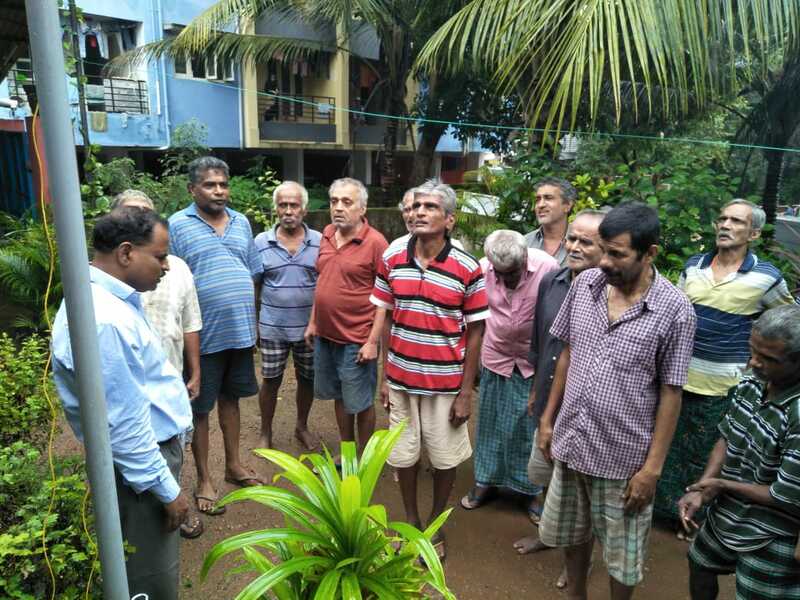 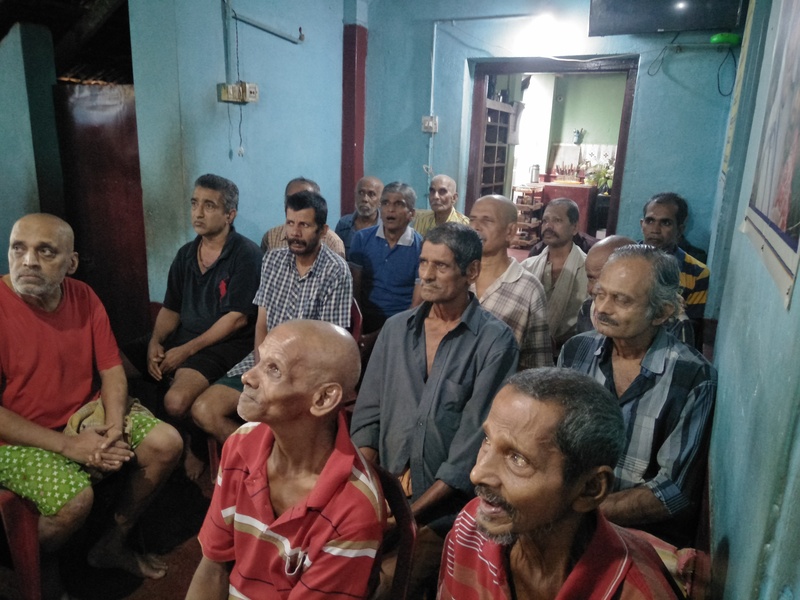 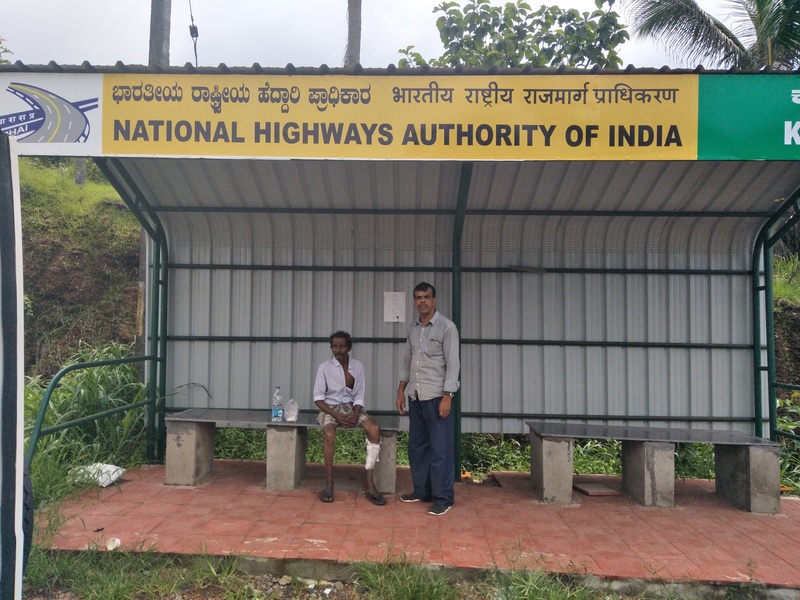 78 year old Mr. John Fernandes who was in a pitiable state at Padil Bus stop in Mangalore was rescued by the members of Karunamaya Ashram. 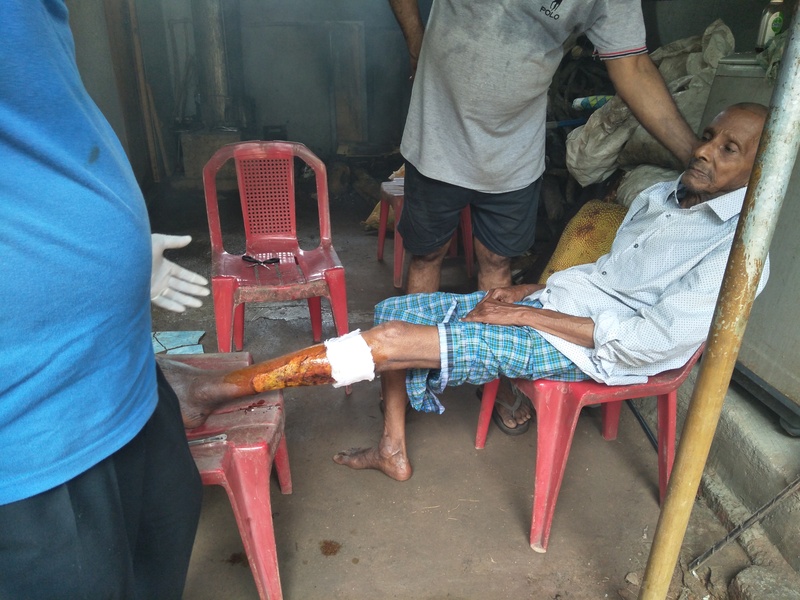 His whole leg was burnt and had severe wounds. 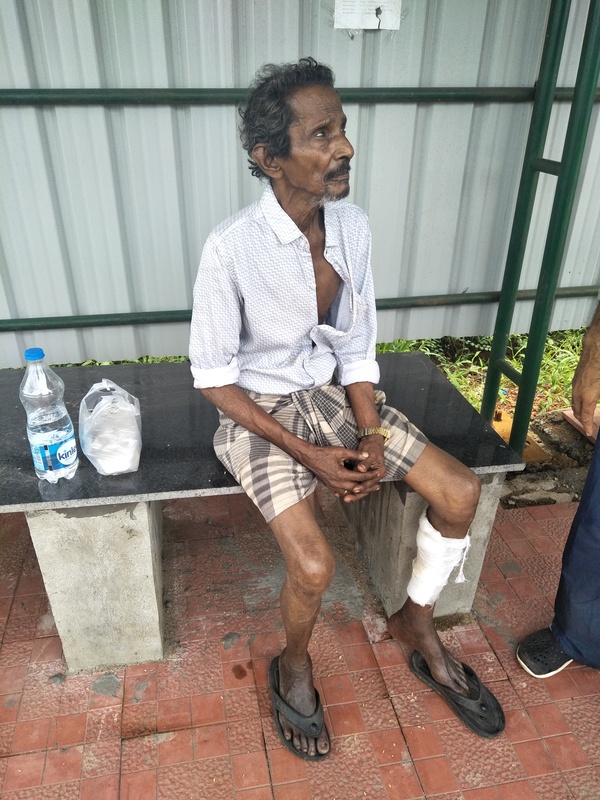 He has been treated at Karunamaya and is undergoing medical care. 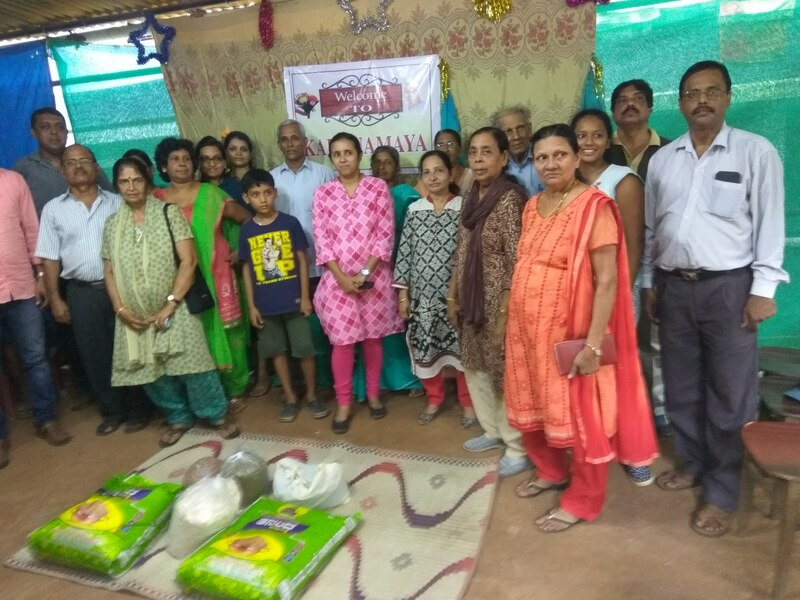 God bless Karunamaya Ashram team for their selfless service to so many destitutes. 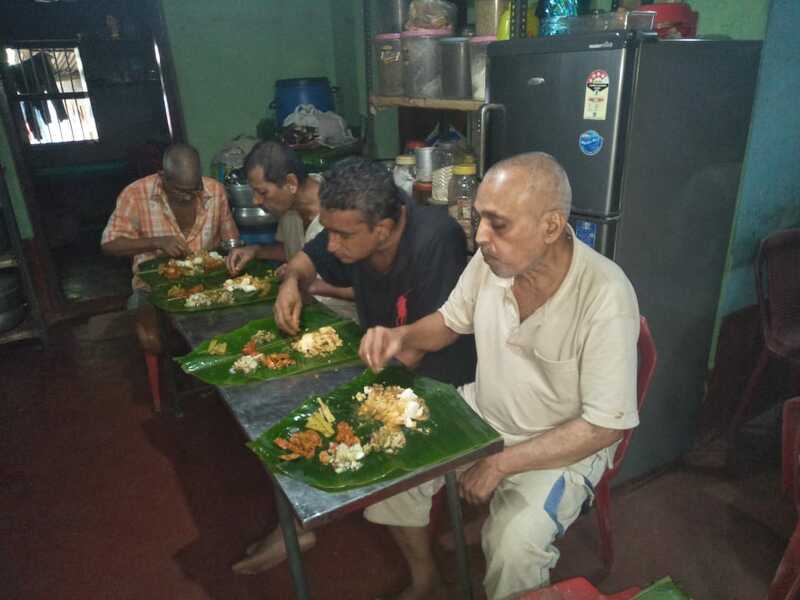 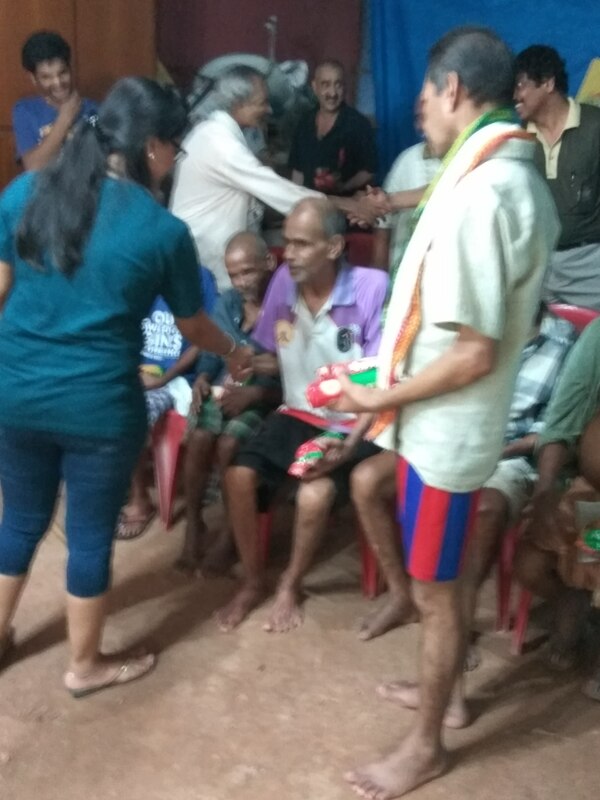 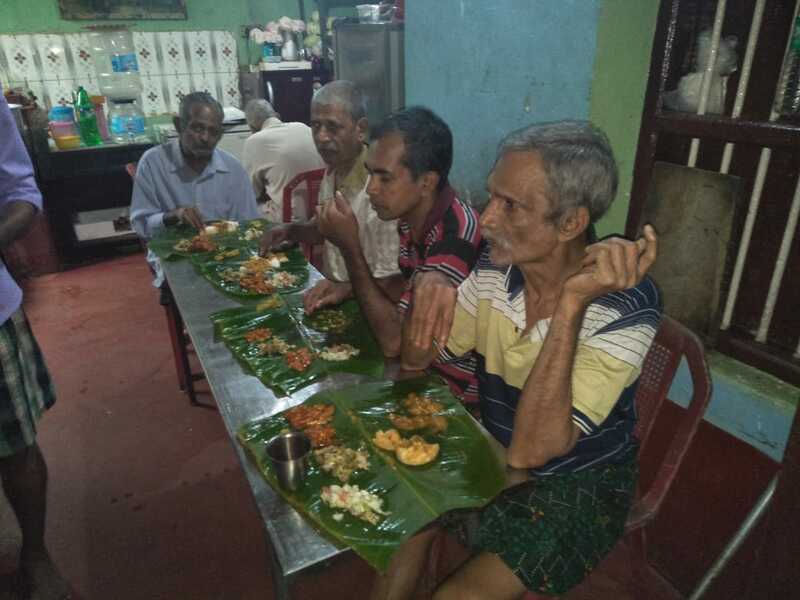 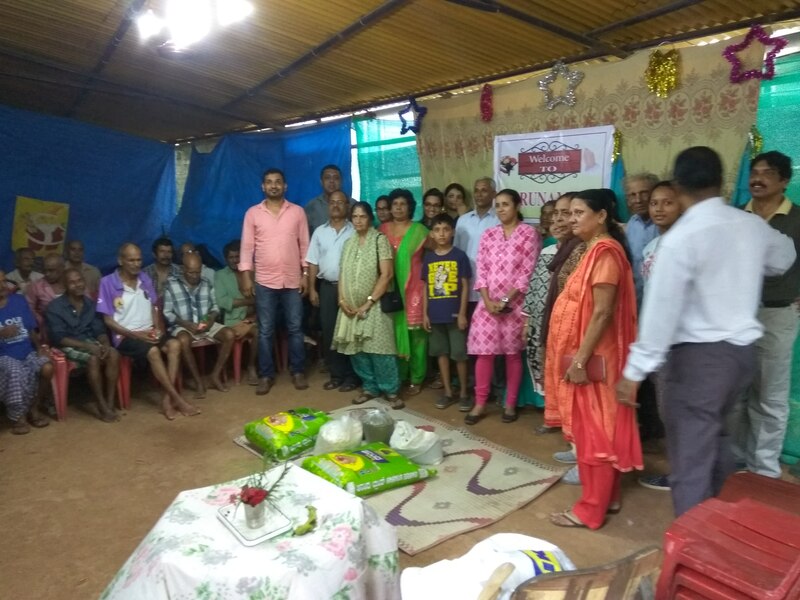 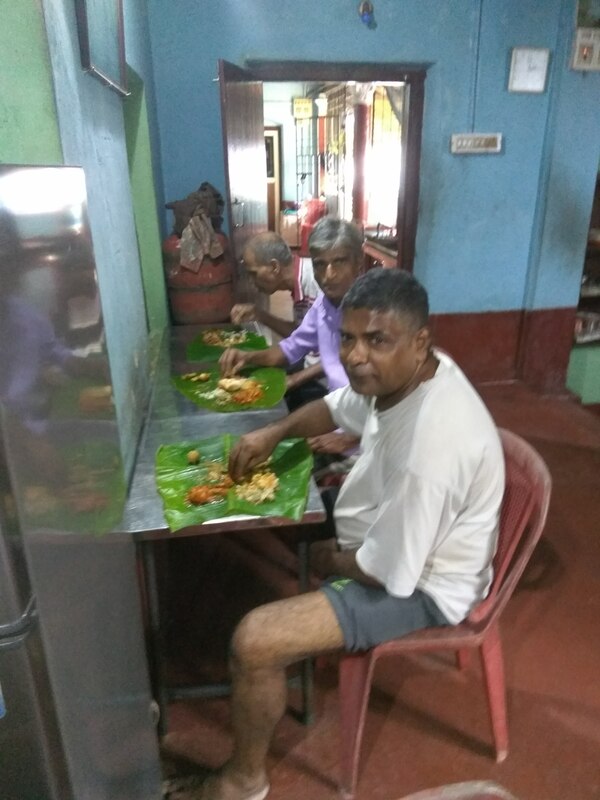 When nobody cares, there is still hope to the poor because of kind-hearted people like the Karunamaya team, who go out all out to help the down-trodden and the unwanted. 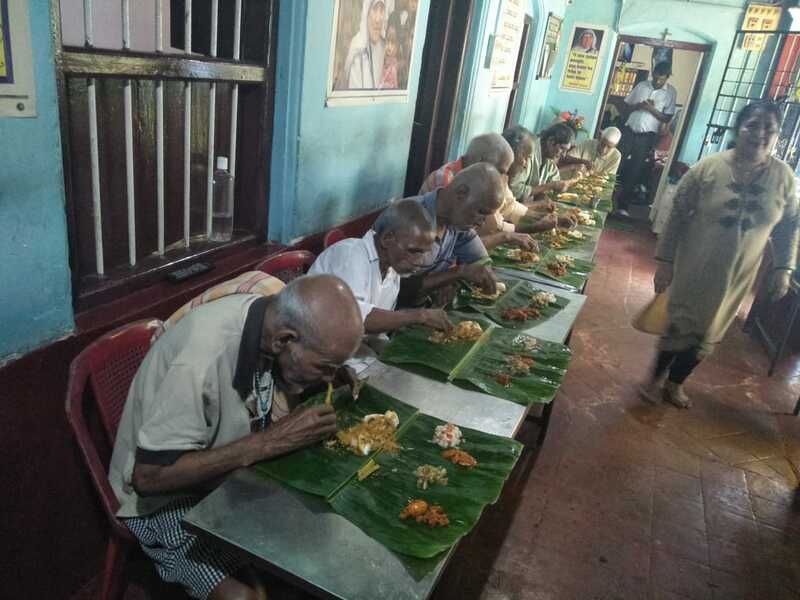 This only shows that humanity still exists in this world. 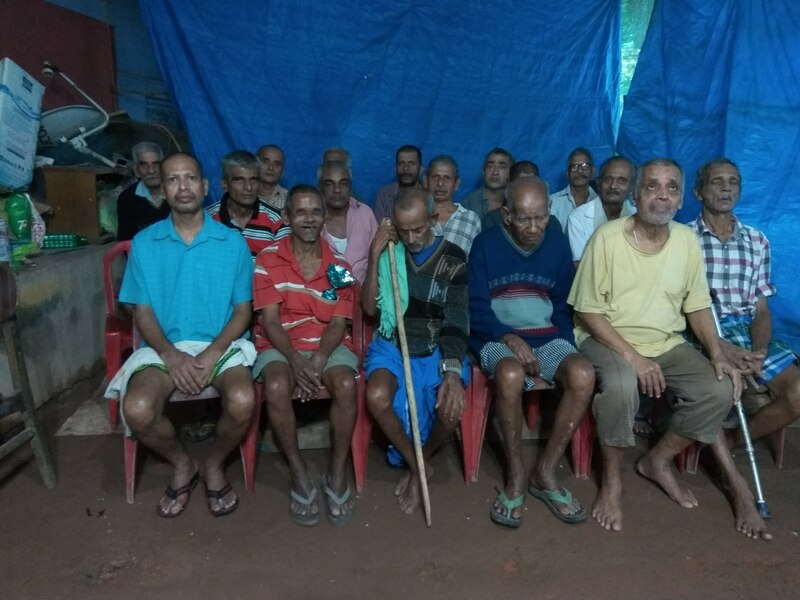 May God bless the dear Karunamaya Ashram members and inmates. 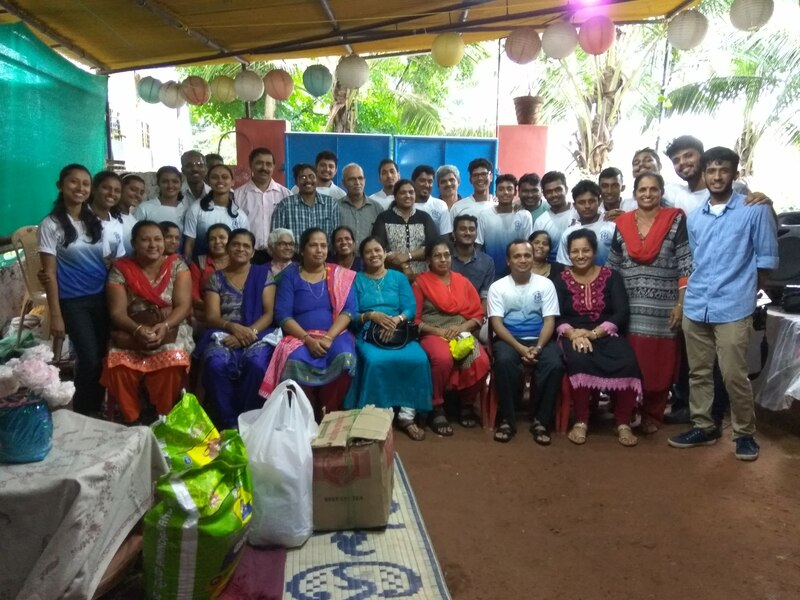 Members of Kulshekar Parish visited Karunamaya Ashram. 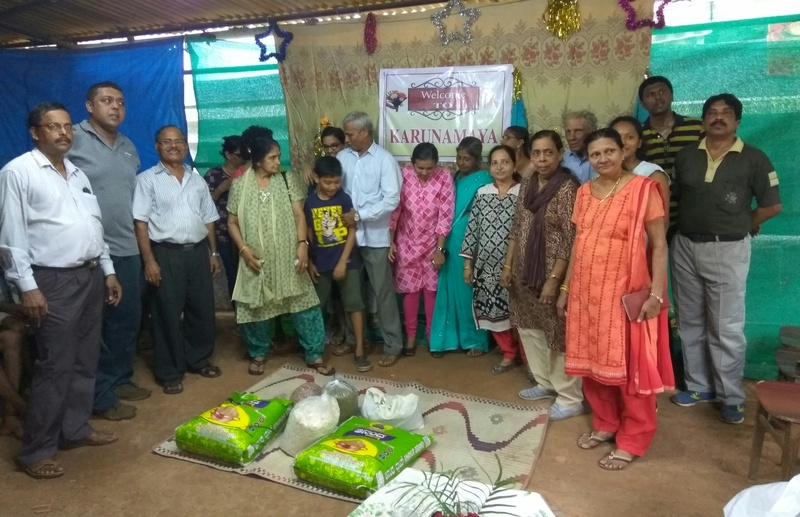 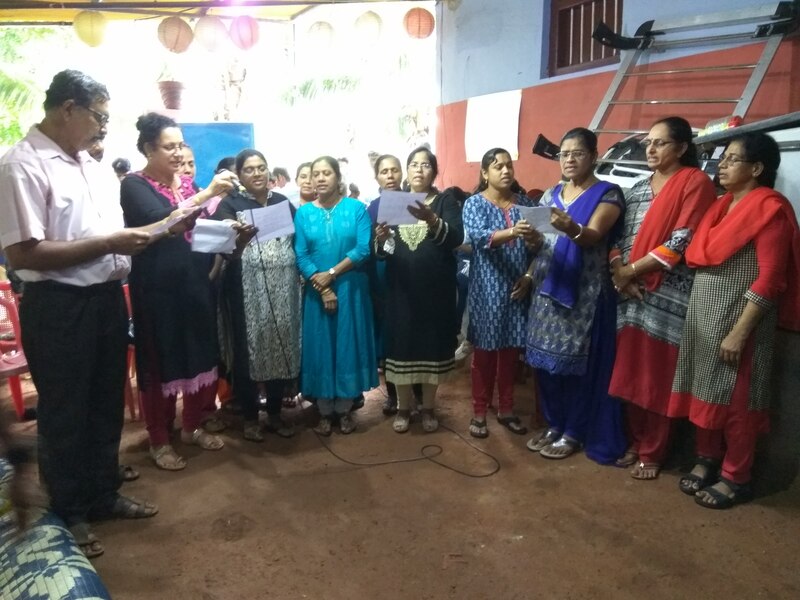 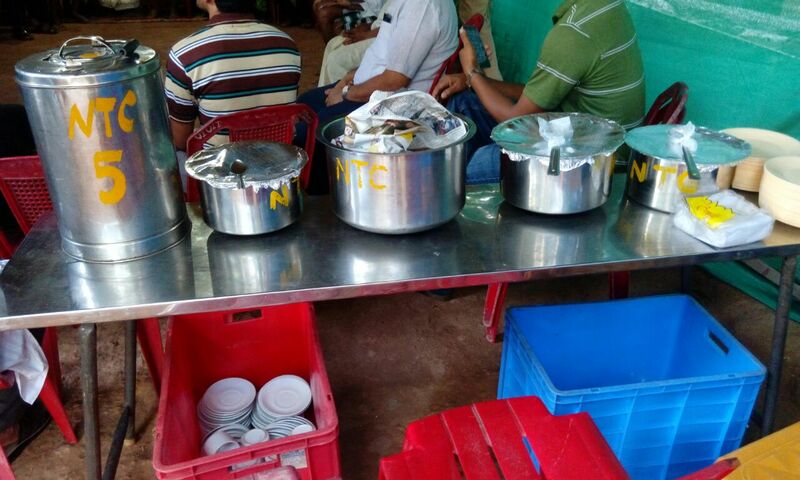 They entertained the inmates and also provided food items as donations to help Karunamaya Ashram in feeding the inmates. 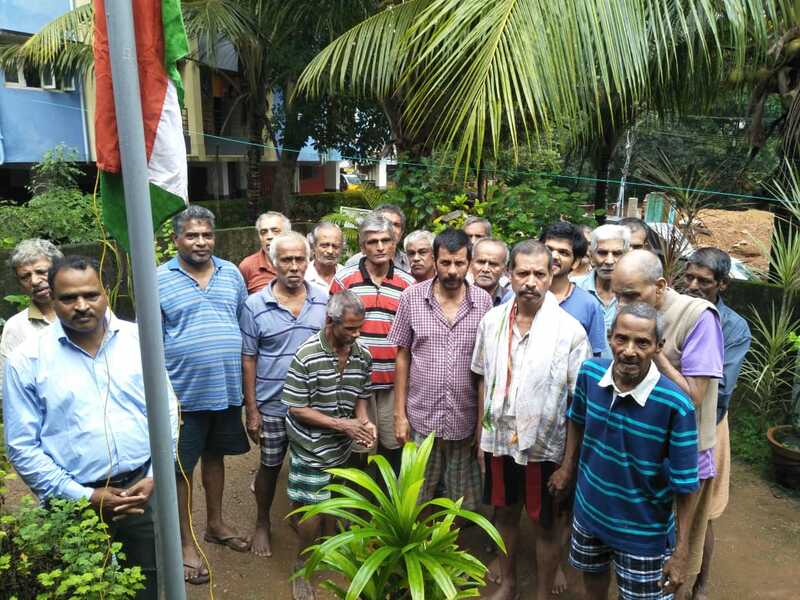 May God bless them and their families for their kind gesture. 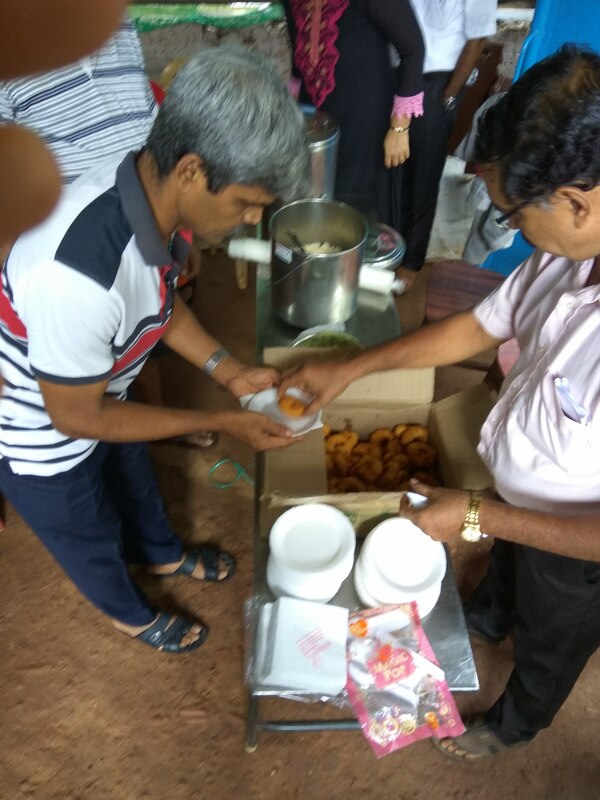 Karunamaya Ashram extends their heartfelt gratitude to the Kulshekar Parish members for their kindness. 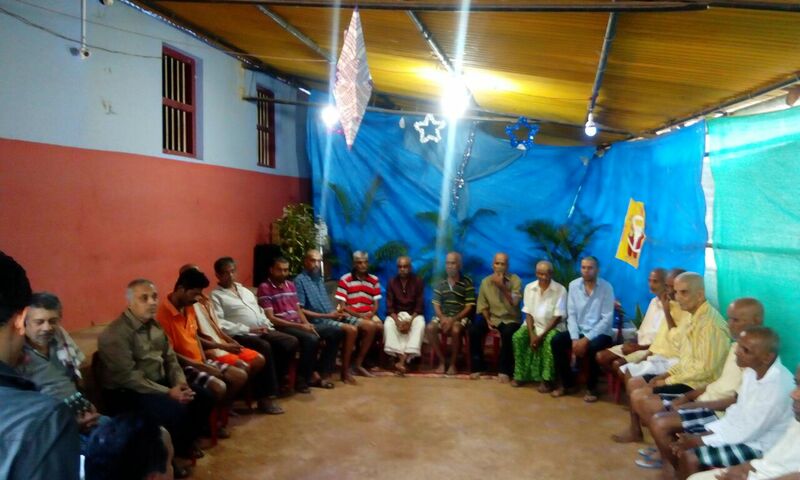 Karunamaya Ashram had a pleasant visit from Richard Machado & Derebail Parish ward members. 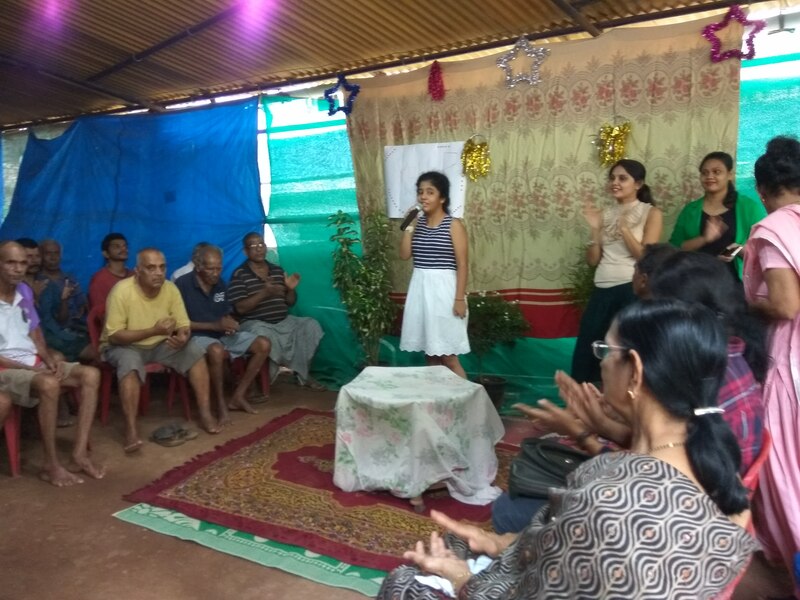 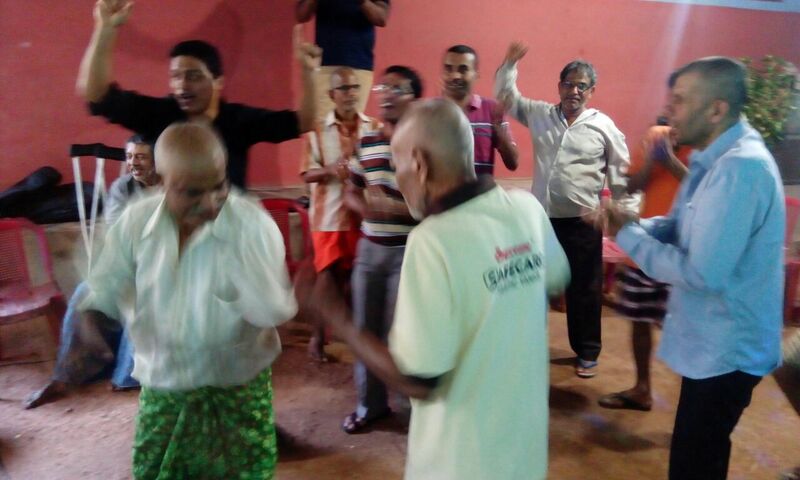 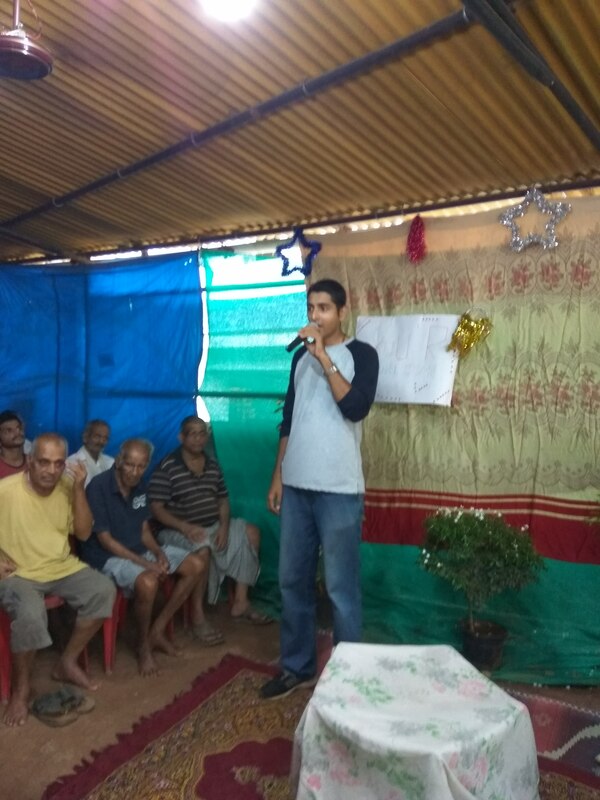 They entertained the inmates and spent a fun-filled time at our Ashram. 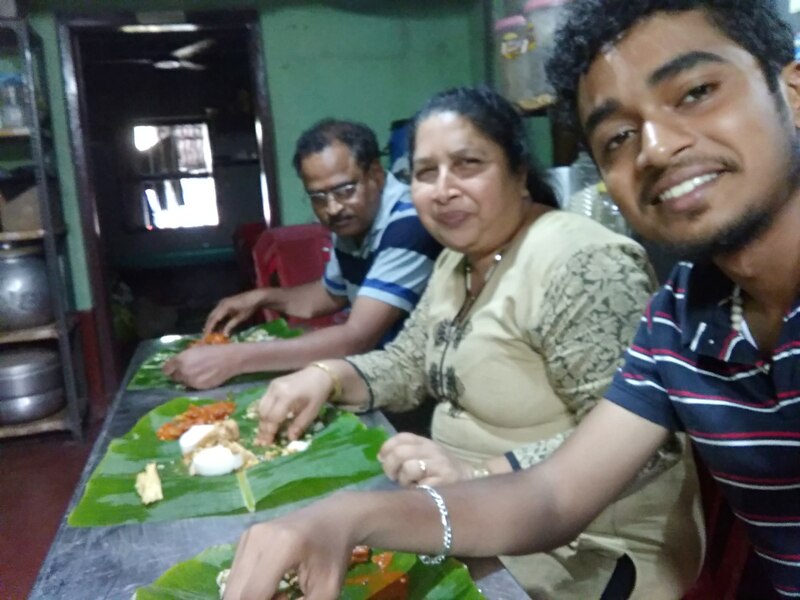 Karunamaya team thanks them for their visit. 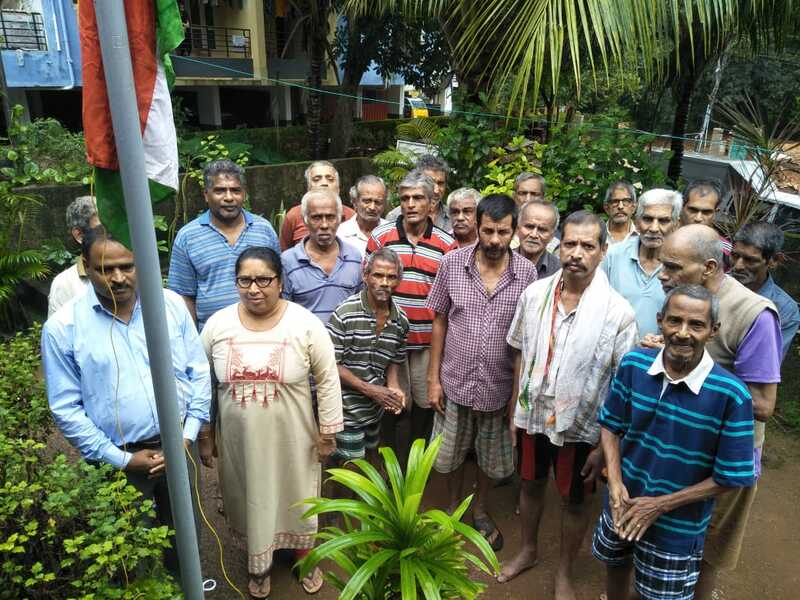 God bless them all. 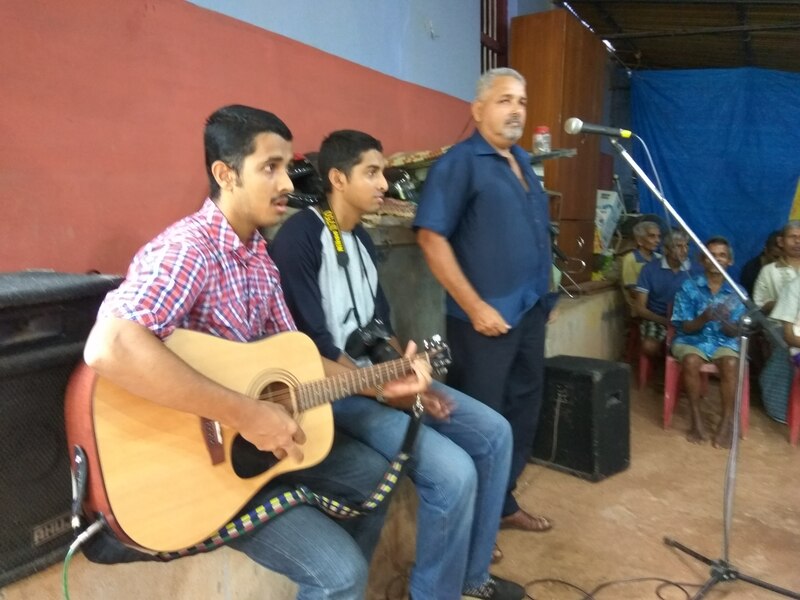 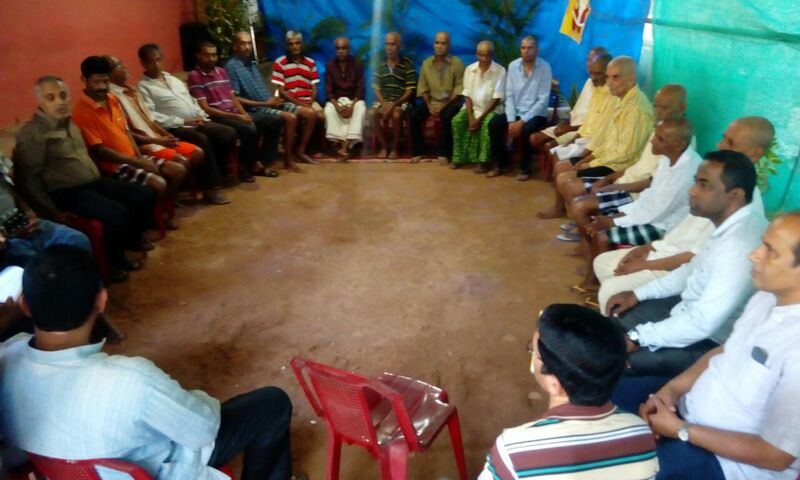 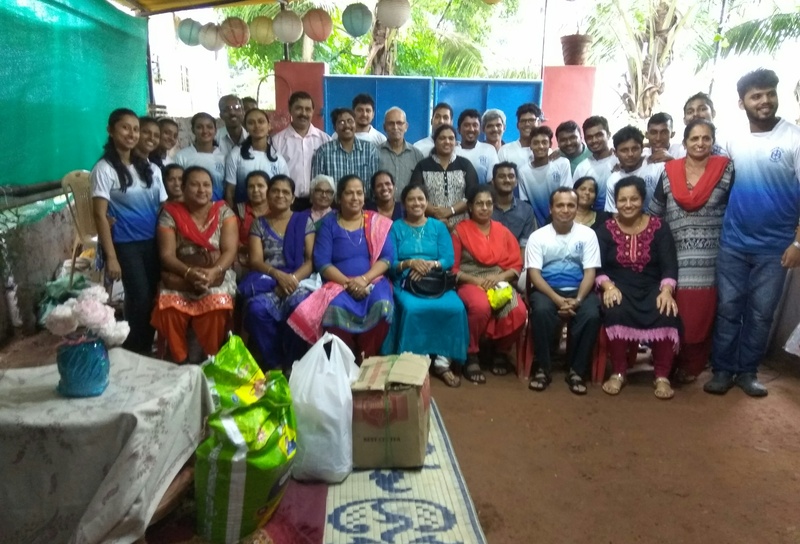 Karunamaya ashram inmates had a wonderful visit from the St. Aloysius S.J. 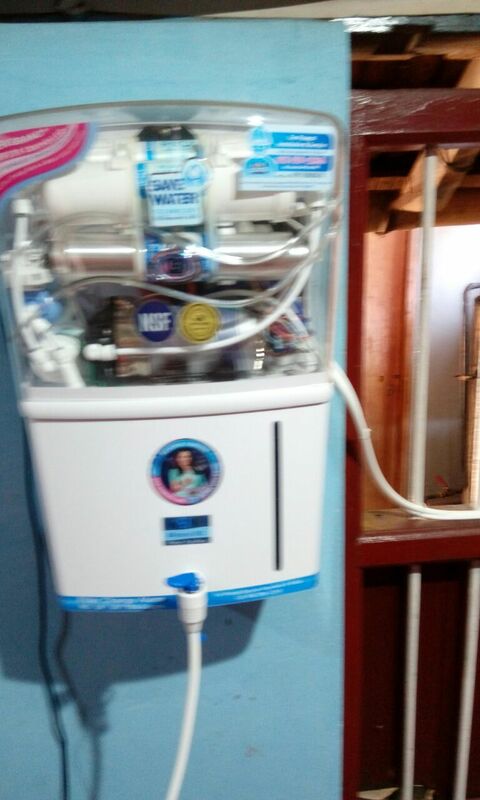 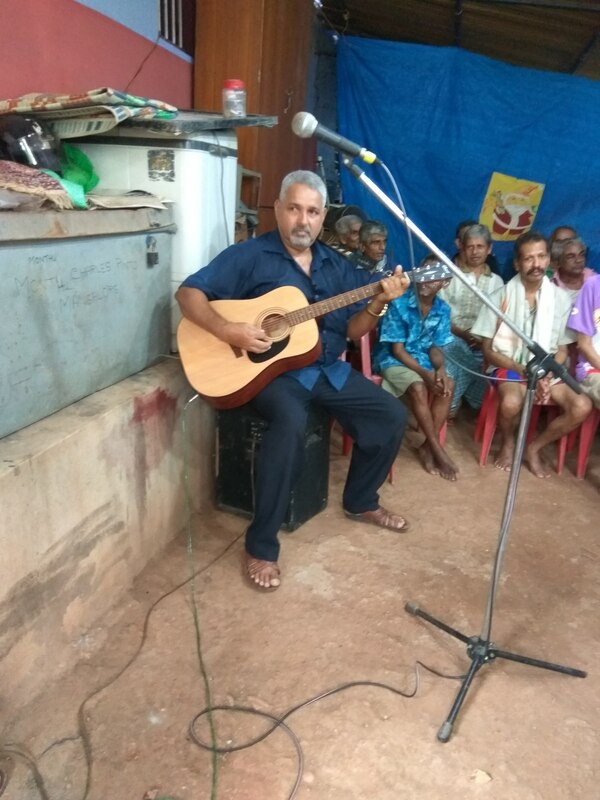 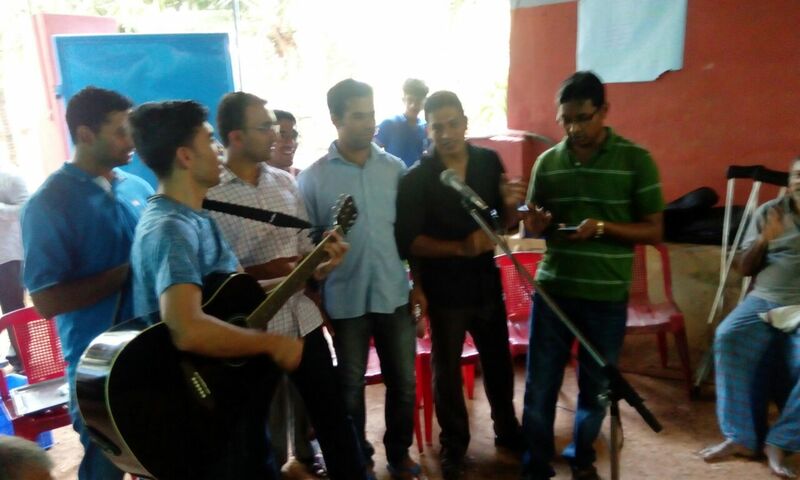 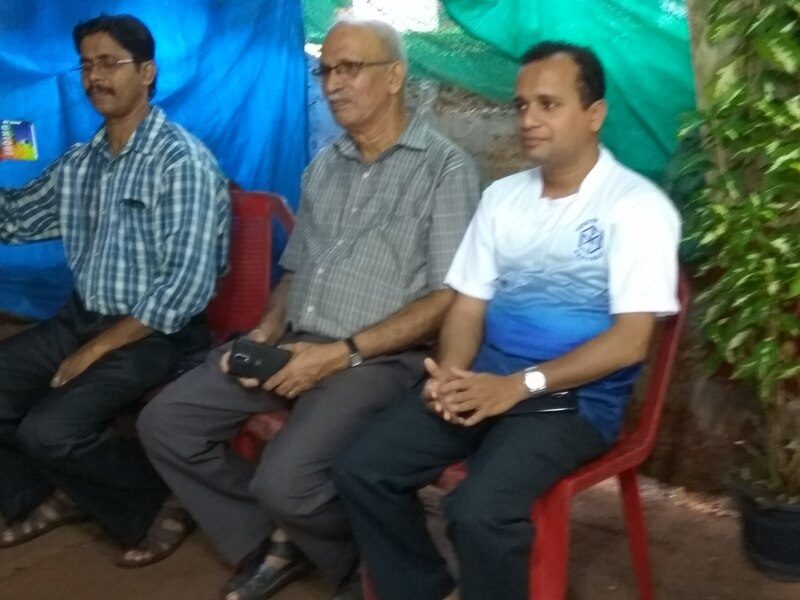 Priests who were kind enough to entertain the inmates and also sponsored a water purifier which was much required. 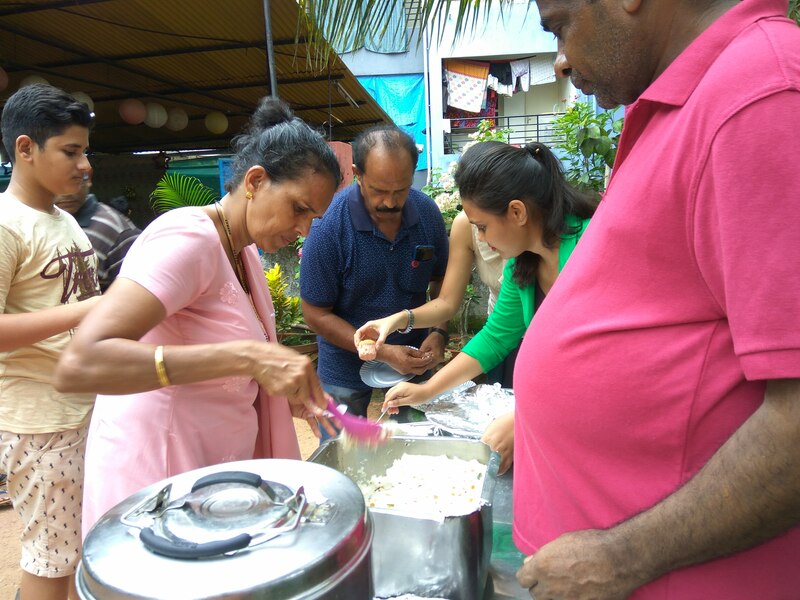 Thank you dear, Fathers. 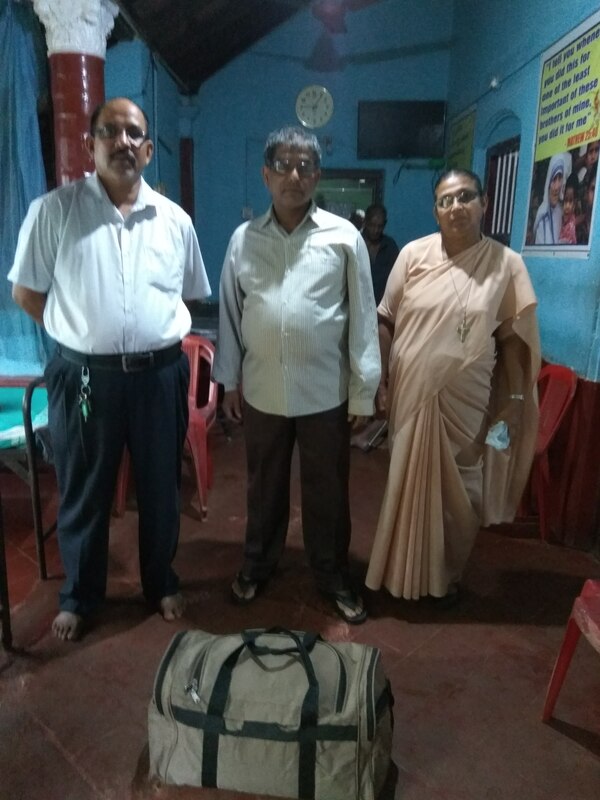 May God bless them abundantly and their mission too.